In the wee hours of the morning on a foggy Saturday at the end of May, I boarded a flight from New York City, New York to Belize City, Belize. It would be the first, but probably not last, research trip to the region to look at properties and learn about one of the regions we are considering for this most ambitious project. Actually, I should back up and start from the beginning. 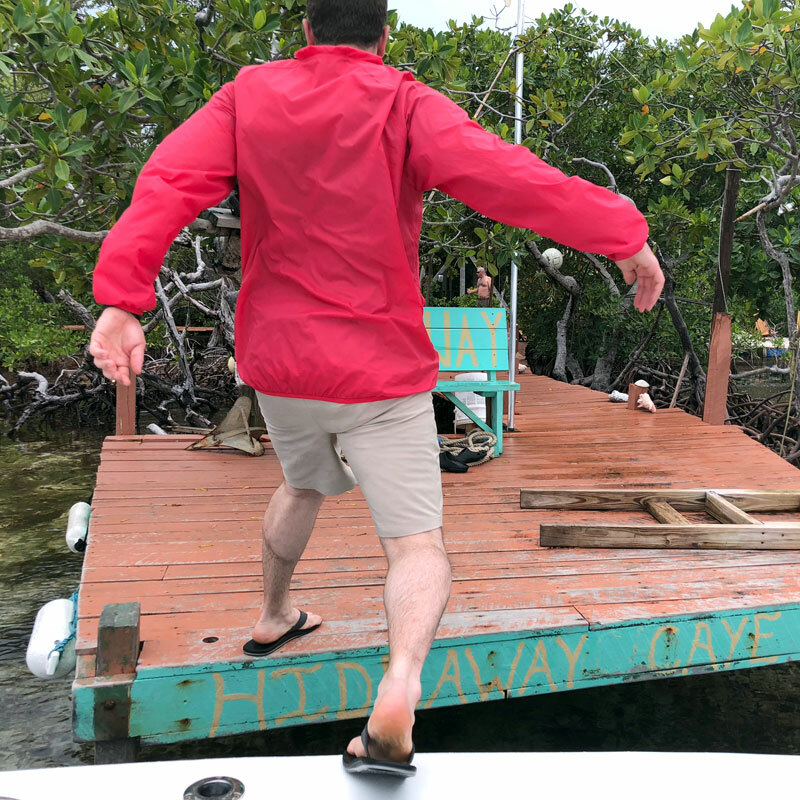 A brainchild 10+ years in the making, in late 2017 a few of us decided to move forward with a plan to purchase and develop a private island in an [ideally] tropical climate. Eventually we would rent it out for rental income to hopefully ensure the perpetual upkeep of the property and to aim to provide some return on investment for its owners. With founders boasting nearly 35 years of combined experience in travel, tourism, finance, conducting business in emerging markets, marketing, sales, building and development in the tropics, and with a passion for attempting the insane, we felt we were ready to turn this dream into a reality. 1. Tropical region with affordable islands – we are aware that we need to do this on a relative budget. We are not millionaires and we know that most of our partners on this project are not either. We wanted to find islands in the US$200-350,000 range, which might limit the property sizes available to us but would allow us to prove the concept. Belize has the weather and price tags we were looking for. 2. Proximity to major population centers – Belize City has daily flights to Houston, Miami, and New York City in the USA, as well as regular flights to major population centers in Brazil, Argentina, Mexico, Colombia and Canada. Its proximity to major population centers allows for accessibility from a larger group of people, which would ease our challenge down the line… that of selling the darn thing! 3. English Law – I don’t mean to reignite the Hundred Years War, but with apologies (sorry not sorry) to my French friends and colleagues, English law, or rather Common Law, is far superior to French, or Napoleonic, legal traditions. I am no lawyer, but the fact remains that when it comes to doing business in a developing country, knowing you have free and clear title to the land you are holding, with confidence, is pretty important. Having confidence in the legal regime remaining more or less consistent from political regime to political regime is likewise absolutely vital. Belize (formerly British Honduras) is the only Common Law mainland country south of the Rio Grande river in the Americas, and therefore stood out against the other (otherwise great) choices in the region. 4. IT’S BEAUTIFUL – Have you seen pictures of Belize? Have you really? Because the country is absolutely beautiful! Majestic mountains one minute give way to gorgeous farms, stunning (rain? )forests, and finally crystal clear, blue-green waters that stretch out into the Caribbean Sea as far as the eye can see. And all in a country that you can drive, lengthwise, in six hours. After doing our research, we began reaching out to family and friends to take on partners, investors, and supporters for the project. Our goal is 120 people supporting equal shares of the startup costs, but preliminary models allowed us to move forward with only 50. We hit 60 investors in about three weeks, representing more than enough to justify a “point of no return” in this adventure, and onward we went! 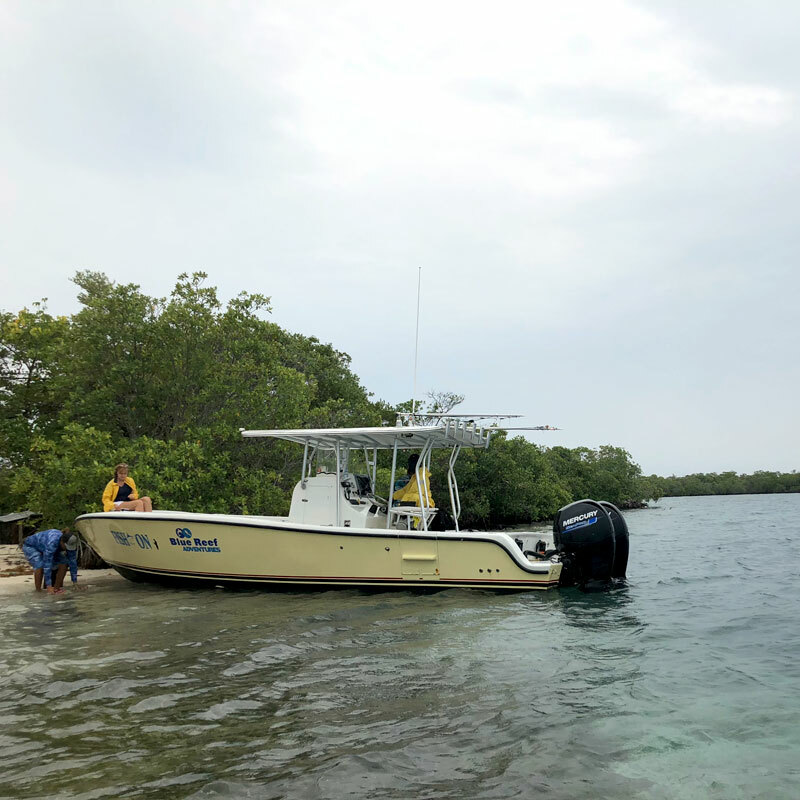 I met with two of my partners in Belize City and began driving south to Placencia, a peninsula near a popular archipelago of islands where we would begin our property hunt. We could have flown (it is about 45 minutes from Belize City airport to the local Placencia airstrip) but we opted to drive to take in the scenery, get a feel for the tourism industry, possible excursions, and a few of the towns and cities along the way. There will be more on that in a subsequent post, I am sure. But in the meantime, below is a summary of the opportunities available in the Placencia area, followed by a few challenges we noted. Placencia is a seasoned tour area with hotels, a few bars, some restaurants, a simply fantastic gelato shop, and even a casino and “bowling alley”! (We did visit the casino, but need to stress that we did not explore the bowling alley, marked by a hand painted bowling pin sign next to a building that might hold, at most, one lane). We noted that the high season had ended a month earlier, but the hotels were still 70%+ full, which is great to see. The beaches were beautiful, and the weather was excellent. Even when it rained, it was only for two hours or so before returning to blue skies. This bodes well – we know that people are willing to visit and pack the peninsula with regularity. The islands we visited were beautiful, and offered plenty of opportunity and space to build. They were 20-40 minutes offshore by boat, which means they are both isolated and accessible, a double win. Some had shallows that stretched out for dozens of meters from the shore, which means beautiful clear shallows that could be built on or used for other purposes. Most islands also had deep water access, which is great for docking larger vessels as well! We visited two islands that have been developed by people with similar ambitious, albeit on two opposite ends of the spectrum of tour operation (with our goals landing squarely in between the two). The first developed island was barely developed, with only a home, a spare shack, and a little bar built within the mangroves. Little-to-no clearing had been undertaken among the thicket of mangroves and other trees. Chickens roamed free and the ground was muddy and unkempt (elevated wooden pathways allowed us to traverse the place). It was beautiful and simplistic, and the owners, a family of three, rented out their spare room for about US$300 per night… and had been booked solid for the prior 6 months! The second developed island was much smaller, but fully cleared, with a seawall holding in the sand that had been packed together to form a firm walking surface between the myriad buildings. Nothing is without its challenges. In this case, we have a few items of note. Many undeveloped (and unkempt) islands are in varying states of disrepair. There are discarded bottles, trash, and other beach debris washed up on shore that will need to be cleared. Some have shallow swamps that have developed in the absence of constant maintenance. Some will need to have beaches built onto them. All have mangrove trees, well, everywhere. It will take some hard work and clearing to open up the spaces and make it livable/attractive for tourism, perhaps a lot more than we had originally realized. But in the grand scheme of things, this is more of a challenge of time, not a challenge of expense or of difficulty. We can and will make the repairs we will need. Gas is expensive, which means boat transport has its costs. It can be as much as US$100 for a return trip to/from the island. This isn’t insurmountable – in fact, we expect that we would be able to organize regular transports that help keep costs down, but this would need to be factored into our cost structure. Additionally, shipping out the materials we need has a certain cost that we were unable to ascertain until we were on the ground. These are not outrageous, but again would need to be factored into our expected costs. The sixty-six foot setback poses one final notable challenge, which is likewise a not-insurmountable issue. Under Belizean law, no land can be owned within sixty six feet (twenty meters) of the low water mark for any land on the water. This can pose a problem for an island property because, surprisingly, the entire property touches water. However we would have the benefit of being alone on the island, which means effectively we would have full control over the land between our actual property, and the water. We may be able to build temporary structures on the land, and we would certainly be permitted to rent the land from the Crown (Belize is still a Commonwealth country), which would allow for proper construction as well. We would also need to pay an annual fee to the Crown to build and maintain our dock. In the end, we are happy with our trip to Belize! We may not end up with the several islands we visited that fall within our budget (highlighted in prior posts), but we have learned a great deal and will apply that to our continued search! Those of us in management positions are fine-tuning our models and ensuring that we stay up-to-date with the latest understanding of costs, expected and unexpected, as we move forward with this very exciting project! In the meantime we keep going, with new properties, new jurisdictions, and new opportunities, all the while taking in new partners on this project as we get closer and closer to our 120! Then again, we may end up with one of the few we already looked at! Stay tuned!